The breed of sheep brought by the Spanish to New Mexico is called Navajo-Churro or Churro. It is a hardy breed, well suited to the extremes of local climate and terrain. It is common for churro to bear twins, certainly advantageous from the point of view of hungry sheep owners. And its wool is not as greasy as most breeds, requiring less precious water and shorter preparation time for the spinner. Churro wool has a luster that, in a lot of old pieces, has an almost silky look. Its fleece also has what is commonly described as a "double coat". Similar to a cat's, there is a thick lower layer of fine wool, with longer, coarser, fibers interspersed forming a sort of shaggy-looking outer layer. Most of the wool spun by the weavers associated with Centinela is churro. Irvin Trujillo's sister, Pat Trujillo Oviedo, raises churro sheep here at La Centinela, and we often spin up her fleeces. 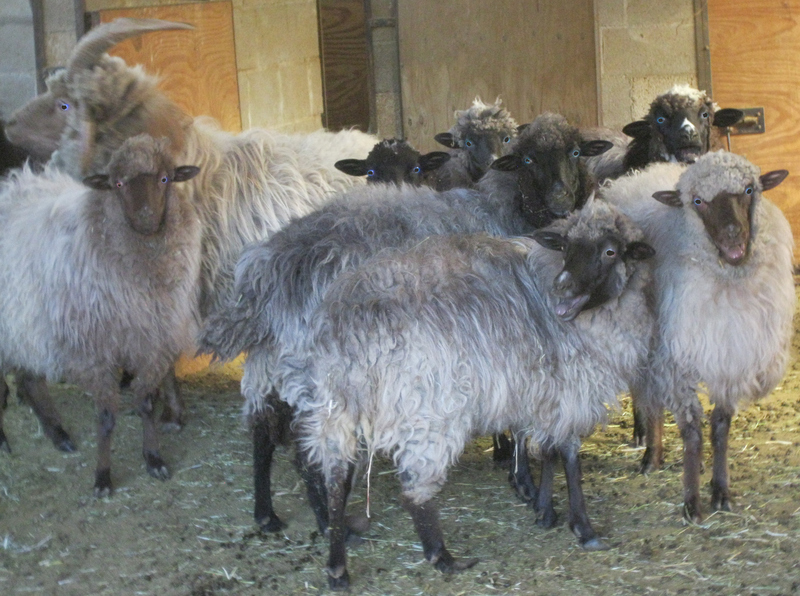 We have a number of other sources for wonderful churro fleeces from other flocks that live here in our area. We also often weave churro yarn spun at the Mora Valley Wool Mill. We proudly represent Heritage Blankets New Mexico, who use the Mora Valley churro exclusively.